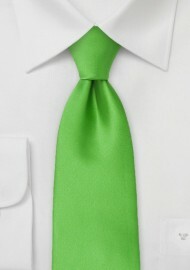 Add the perfect twist to any suit with this vibrantly bright kelly green necktie. The bold and bright color is sure to add fashionable coolness to any thing it is paired with. 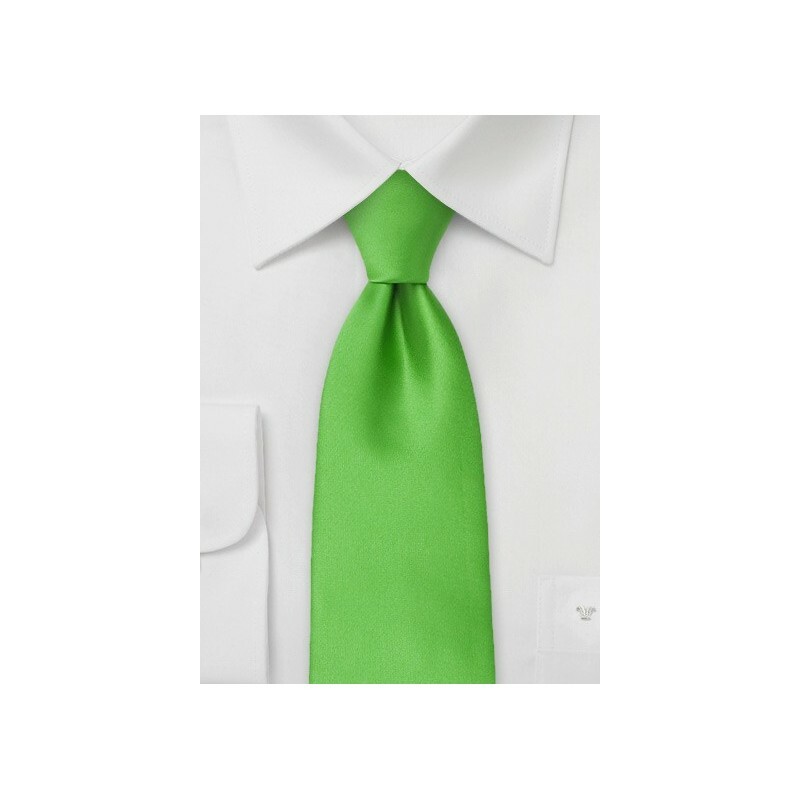 This tie is designed by the Puccini Design House and is made from a high quality microfiber. This uniquely bright color is ideal for pairing with tuxedos, office suits and summer suits. We like to see it worn with a casual twist by pairing it with a lightweight dress shirt, navy twill pants and boat shoes.